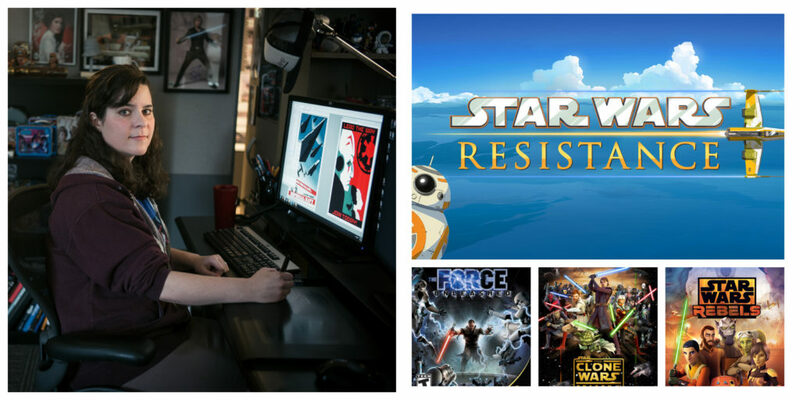 Amy Beth Christenson is the art director for the upcoming animated TV series Star Wars Resistance. 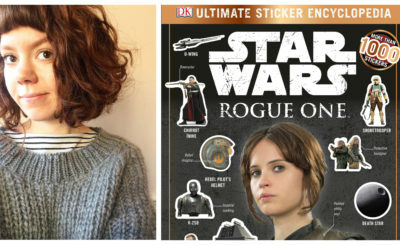 She previously worked as lead concept artist for the video games The Force Unleashed and The Force Unleashed II, she was a design and concept artist for a few episodes of The Clone Wars, and she was the senior concept designer for Star Wars Rebels. At the start of Star Wars Rebels Fangirls Going Rogue interviewed Amy Beth Christenson about her career. 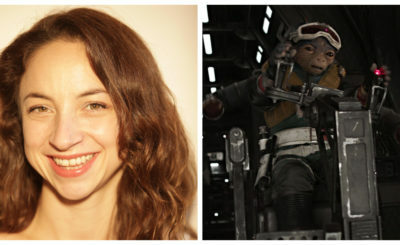 Amy wrote about some of her work for Rebels on the official Star Wars site and you can see some of Amy’s art on her personal website. 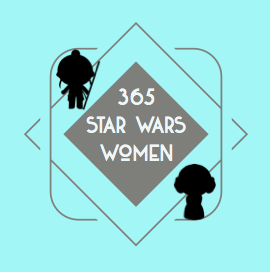 Amy Beth Christenson was kind enough to answer a few questions for 365 Days of Star Wars Women via email. What was your introduction to Star Wars? Star Wars just happened to be the first movie that I ever saw in a theater, although I was too young to remember at the time. I do have vivid memories of seeing The Empire Strikes Back when it came out in 1980, and being completely hooked on Star Wars from that point forward. I already had some of the first Star Wars Kenner action figures, but my infatuation with the movies and toys started in earnest from 1980 on. My entire family bonded over the Star Wars movies, and the whole of my childhood was spent watching the movies over and over again, while collecting as many toys, comics, and novels as possible. Do you have a favorite film, character, or time period? The original trilogy movies are too ingrained in my childhood, so that era will always be the nearest and dearest to my heart. My favorite film is Return of the Jedi, and in particular the scenes in Jabba’s Palace. One of the defining moments of my childhood is when Boushh takes the mask off, to reveal Princess Leia, there to save Han. The character of Leia will always be very important to me. As a child, it was great to see such a strong-willed, sarcastic, confident, caring female. To have a character like Leia in such a significant movie role really resonated with me at a young age. What was your first Star Wars project and what was your art education and work background before you got that job? 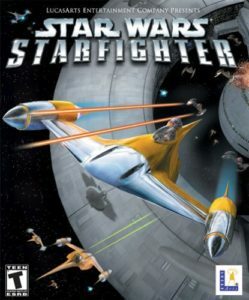 My first Star Wars project was Star Wars: Starfighter, which I started working on in 2000. It was my first job out of college. I was hired at LucasArts just after graduating from Ringling School of Art and Design. Before that, I attended the Kansas City Art Institute. I focused on Design and Illustration, but had taken some 3D classes. That skill helped me to be both a modeler and a concept artist while working in games, and I still use 3D to block in sets and vehicles while I’m designing them. Was working on a video game your goal at that time? My other childhood obsession, (besides Star Wars and watching cartoons), was playing video games. My brother and I played video games together all of the time while we were growing up. In fact, I still have all of our old game consoles. Working at LucasArts was a dream job for me, since it combined both Star Wars and video games, and I’ve always been a huge fan of all things LucasArts. As it happens, all of the shipped titles that I worked on at LucasArts over my 11 years there were Star Wars titles. 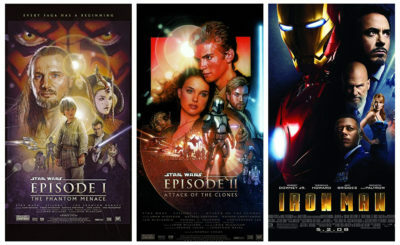 Between those projects, Clone Wars, and Rebels, I have been creating designs for Star Wars for 18 years straight. For both The Force Unleashed video game and its sequel The Force Unleashed II you were the lead concept artist. Can you explain what a lead concept artist does on a video game? For Force Unleashed I, my title was senior concept artist, and it actually wasn’t until Force Unleashed II that I came to be lead concept artist. I was still designing characters, vehicles, and sets for the game. But in addition to those tasks, I worked closely with the other art leads, (environment, character, animation, etc. ), to help ensure that everything worked well together and within parameter, and to help review assets all the way through from design to model, and on to rigging and animation. You were also a concept designer on a few episodes of The Clones Wars and for Star Wars Rebels. Are there any major differences between working as a concept designer on a video game or on an animated series? Some of the processes differ, but overall, it’s the same approach to designing for an animated series as it is for a game. Creative problem-solving is just as important in both scenarios, and any design should be functional while telling a visual story, as well as look unique and memorable while staying within technical parameters. It’s because of these similarities that several artists on the team have worked in a variety of industries: games, features, and other animated series. Thrawn concept art by Amy Beth Christenson. Copyright LFL. What are some of the highlights from your time working on Star Wars Rebels? There have been a lot of highlights, (like working on Hera and the prototype AT-AT), but for me the greatest moment was getting to design Grand Admiral Thrawn. That character has a particular significance for me as a Star Wars fan. I remember going to a bookstore with my family on the day that Heir to the Empire came out, and then all of us fighting over who would get to read it first. 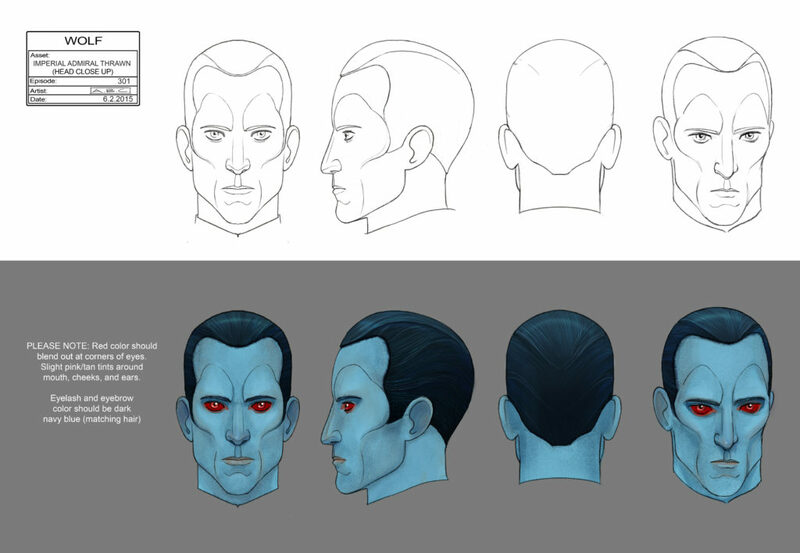 I was beyond excited to get to design Thrawn for Rebels. The author Timothy Zahn came to see the episode while it was in early production, and I was able to meet him – and get his autograph on my original copy of Heir to the Empire. I know you can’t talk about the new series Star Wars Resistance. But can you explain the role of an art director on an animated series? The most important work for art directors is done during the very early stages. One of the first steps is to start on look-development studies, rough character sketches, and early key art. From there, creating example art and early screen tests are especially essential, as is working closely with the supervisors as the pipeline is developed. Ideally, the concept art will look like the finished product, (and vice versa), so being a part of the entire process and knowing how the end result will look and move is important. Another aspect of the job is creating an overview of the show’s look/feel, as well as a definitive art style guide. Guides like these help sustain the visuals of the show throughout its course, and are handy for the artists to have as short-hand reference. During production, I manage the concept design team; help schedule the tasks; and review designs, color keys, matte paintings, and lighting. As a group, the producers, supervisors, leads, directors and I review the episodes at various stages. Also, I continue to design some of the characters, vehicles, or sets for each episode. Finally, do you have any advice for people wanting to work as a concept artist or art director on an animated series? There are a lot of aspects to this job, but I believe that problem-solving is one of the most important skills to have. Offering multiple creative options for each design task, making sure that all of the pieces fit together and are functional, and ensuring that the design fits into a larger visual world and tells its part of the story – these are all part of the day-to-day tasks for a concept artist. Showing that you have the ability to come up with a variety of creative and viable solutions is a skill that is valuable to any team. Here’s Amy talking about designing the Rebel Yavin base for “In the Name of the Rebellion” episode of Star Wars Rebels. Pingback: Sign me up for the Resistance! | Stardust Pop!